Good morning to “My Sun” – our newest print! My Sun is now available for pre-order in the following bumGenius and Flip styles at CottonBabies.com and many independent retailers. Shipping by 9/6/18. 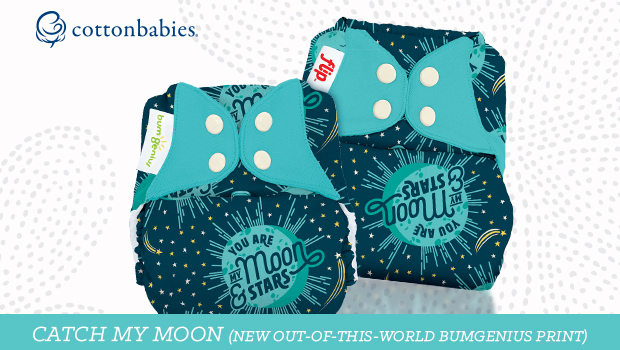 bumGenius Elemental cloth diapers are coming soon! To celebrate our newest print, we’re going to spread some sunshine with a giveaway. 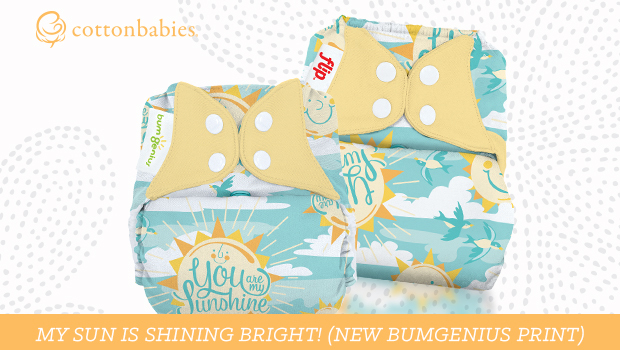 Enter for your chance to win My Sun in a bumGenius Freetime cloth diaper and Outing Wet Bag. For an extra entry, tell us your favorite song to sing to your little one. Eligible entries must be posted no later than 12:00 a.m. Central Time, September 6, 2018. U.S. residents only. Void where prohibited by law. No purchase necessary to win. Winners will be drawn after the close of the contest and notified via email. This promotion is in no way sponsored, endorsed or administered by, or associated with, Facebook. We hereby release Facebook of any liability. All prizes must be claimed within 30 days of end of giveaway. Lately I’ve been singing her a song that my older kids learned at music camp. Puts her right to sleep! I’m due in January, so for now, my little one just gets to listen to me belt out the tunes on the car radio! My favorite song to sing is Five Little Ducks. I love to sing Queen’s “You’re my Best Friend” to my kiddos.